HBO Will Air A Series of Original Programs to Mark Tenth Anniversary of 9/11!!! HBO will present a variety of original programs to mark the tenth anniversary of the Sept. 11, 2001 terrorist attacks. The following are the different programs that will be airing. BEYOND 9/11: PORTRAITS OF RESILIENCE highlights transcendent stories of courage, survival and remembrance when the all-new documentary debuts SUNDAY, SEPT. 11 at 8:46 a.m. (ET) – ten years to the minute that American Airlines Flight 11 crashed into World Trade Center One – on HBO. A presentation of TIME magazine in association with HBO, this film focuses on the previously untold stories, captured in words and images, of a group of men and women who led America, moved the nation and sacrificed for it, in the hours, days and months that followed Sept. 11, 2001. In addition, other shows will receive encore presentations. The documentary IN MEMORIAM: NEW YORK CITY, 9/11/01, a panoramic record of the events of that day, features former mayor Rudolph Giuliani as guide. Made with a uniquely personal collection of video and still photography shot by New York City residents, it follows the mayor and his staff from their first realization of what had occurred, through smoke and fire, rescue and recovery, and despair and tears to a newfound strength that would emerge in the spirit of a new America. IN MEMORIAM: NEW YORK CITY, 9/11/01 will be presented Sunday, Sept. 11 at 7:15 a.m. (ET/PT) on HBO. The documentary TELLING NICHOLAS looks at Sept. 11 through the eyes of seven-year-old Nicholas, whose mother, Michele, worked in the World Trade Center. The film uses unique footage shot through apartment windows blocks from the World Trade Center, as well as interviews with Nicholas and his family, as they reluctantly come to terms with Michele’s death and struggle to break the news to Nicholas. TELLING NICHOLAS will be seen Sunday, Sept. 11 at 10:30 a.m. (ET/PT) on the HBO Signature channel. 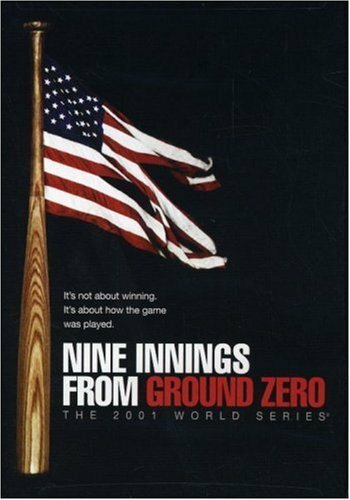 The HBO Sports documentary NINE INNINGS FROM GROUND ZERO focuses on the 2001 World Series between the New York Yankees and the Arizona Diamondbacks, which took place barely a month after Sept. 11, and played an important role in helping the city return to a sense of normalcy. The film features interviews with former mayor Rudolph Giuliani, President George W. Bush, managers Joe Torre, Bobby Valentine and Bob Brenly, players Derek Jeter, Scott Brosius, Paul O’Neill, Mark Grace and Curt Schilling and fans who lost family members in the terrorist attacks. 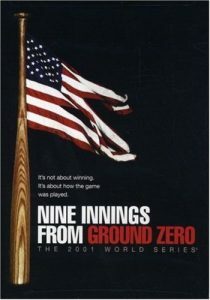 NINE INNINGS FROM GROUND ZERO will be seen Saturday, Sept. 10 at 8:00 a.m. (ET/PT) on HBO. This entry was posted on Monday, August 29th, 2011 at 12:59 pm	and is filed under Film, News. You can follow any responses to this entry through the RSS 2.0 feed. You can skip to the end and leave a response. Pinging is currently not allowed. « ‘Well Go’ Acquires Takashi Shimizu Horror Pics ‘Tormented’ & ‘The Shock Labyrinth’!! !